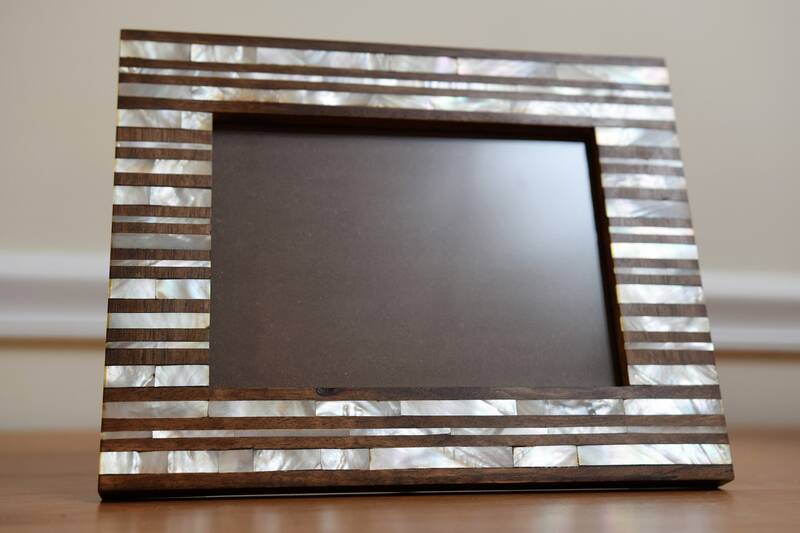 The walnut construction handmade wooden frame is inlaid with genuine mother of pearl. This piece of art was made in Syria. 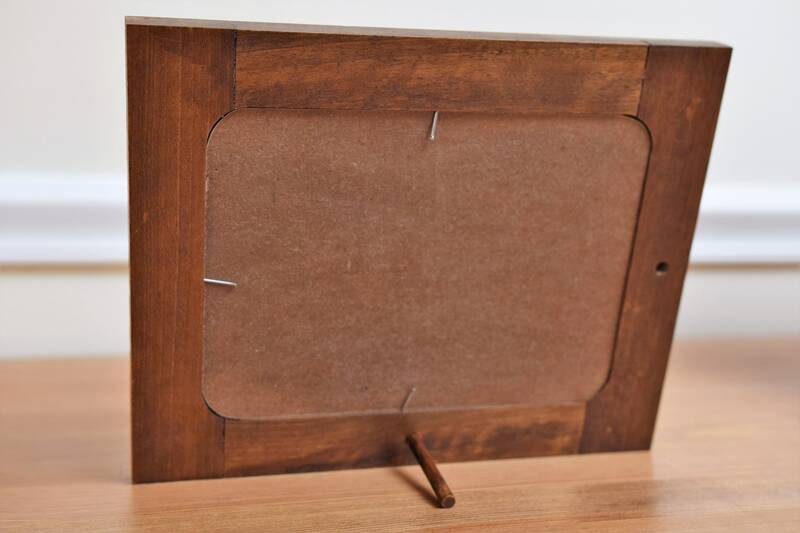 The best and stylish frame where you can place your valuable pictures. 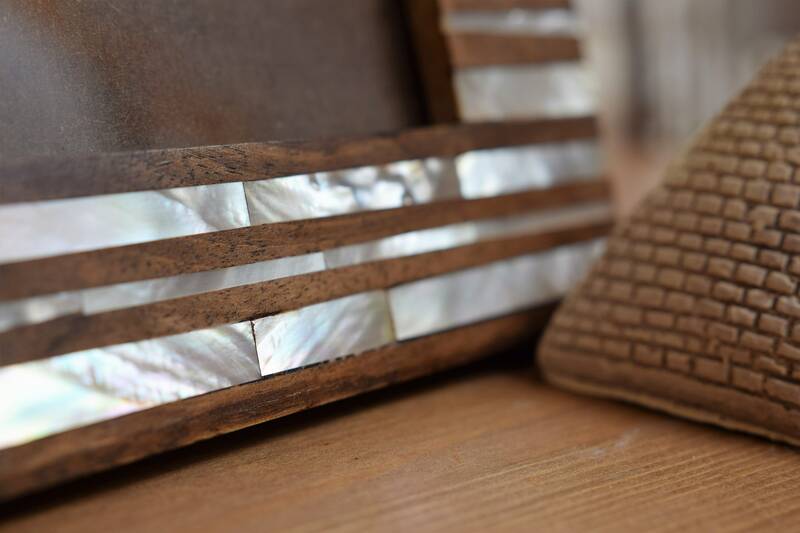 This item has been carefully crafted by Syrian artisans skilled in the tradition of marquetry, a delicate craft where beauty, intricate geometric ornamentation, fine craftsmanship and functionality are all intertwined. A piece of art from the magic of Orient and it could be used surely as a home decor. 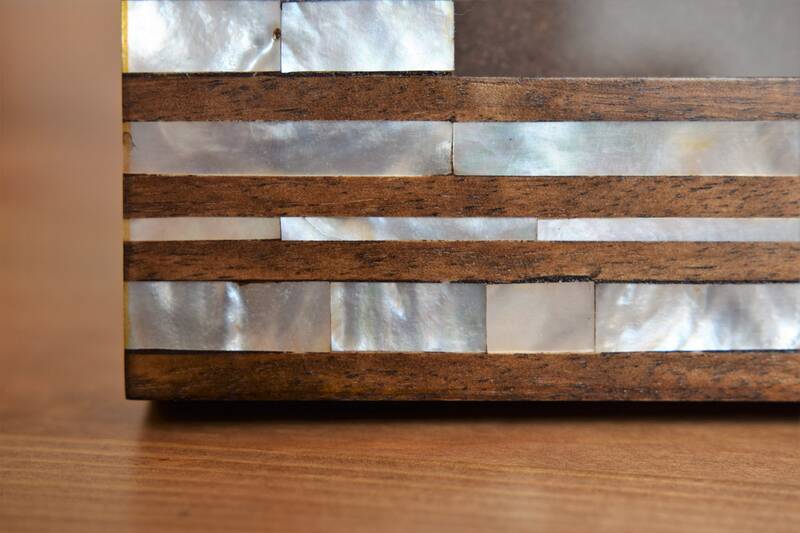 This gorgeous piece is perfect for a home with traditional or even transitional style decor and it is an excellent and valuable gift for men and women. Our Syrian products are the best quality found anywhere. 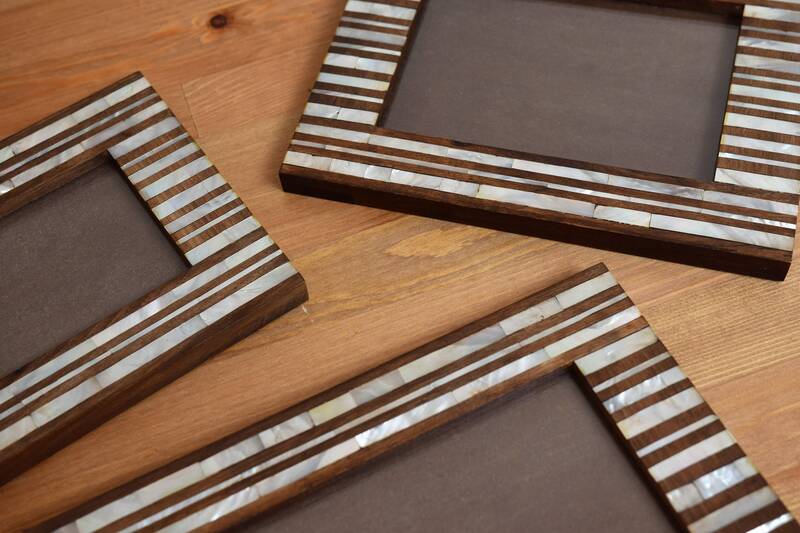 You are getting one of a kind, specific furniture that will last a lifetime. 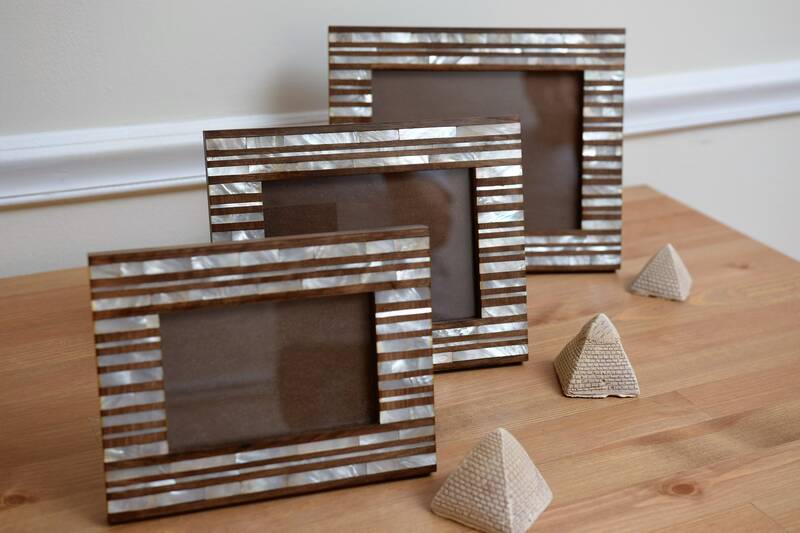 You are getting a high quality Syrian handmade decor. 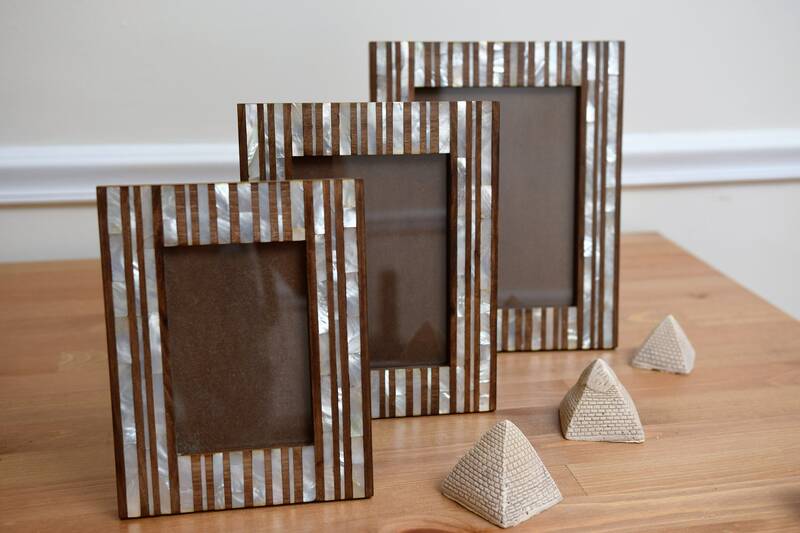 Frame: 11 X 9 inches Picture: 7.8 X 5.9 inches Thickness: 0.6 inch.